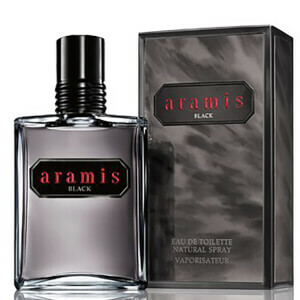 Aramis Classic is an expression of confidence and refined character with a sophisticated edge. This timeless fragrance appeals to men of all ages, diverse yet still distinct, warm and provocative. The Aramis Classic first released in 1964 was the original men’s fragrance to be sold in department stores, both masculine and powerful this brand still paves the way for prestige men’s fragrances. With history, sophistication and charm this scent is now available in personal care products for men. The classic fragrance was reintroduced as Aramis Classic in 2009 and whilst the Aramis Classic Eau de Toilette may be the hero product of the line the brand has now branched out to offer a whole line of personal care products scented with that classic fragrance. For men who love this timeless scent, they can now enjoy it even more with every grooming product, available for both hair and body. Complementing fragrant products are an ideal way to smell great without the worry of competing scents, wear multiple products from the brand for the ultimate masculine experience. The masculine scent of Aramis Classic products can be characterised by a warm woodsy-mossy background vitalized with citrus, herbs and exotic spices. Aramis is a timeless and classic fragrance with wide appeal that’s distinctively masculine, warm and provocative without being aggressive. The fragrance invokes images of leather-bound books, forest floors and refined sophistication. It is this signature scent which is a huge part of what makes the Aramis Classic so distinctive. Following the reintroduction of the original scent, other Aramis Classic Products followed and created an entire collection of personal care products for men with the signature scent of Aramis Classic, based on common concerns from male consumers. This is a product men with thinning hair who are looking for fullness will appreciate *Aramis Classic Protein Enriched Hair Thickener*. The multi-functional hair treatment not only adds extra thickness but smoothes fly away hairs and controls frizz to give a healthy shiny appearance. 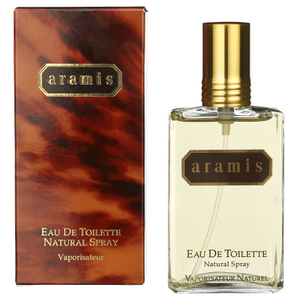 Scented with that timeless Aramis Classic Fragrance for great smelling hair. This Aramis-scented intensive 'reactivating' deodorant stick provides continuous maximum odour protection and long lasting freshness. The body heat activated formula glides on smoothly and releases a burst of Aramis Classic fragrance as soon as your body heat rises for a woodsy-mossy, citrus and exotic spiced scent.